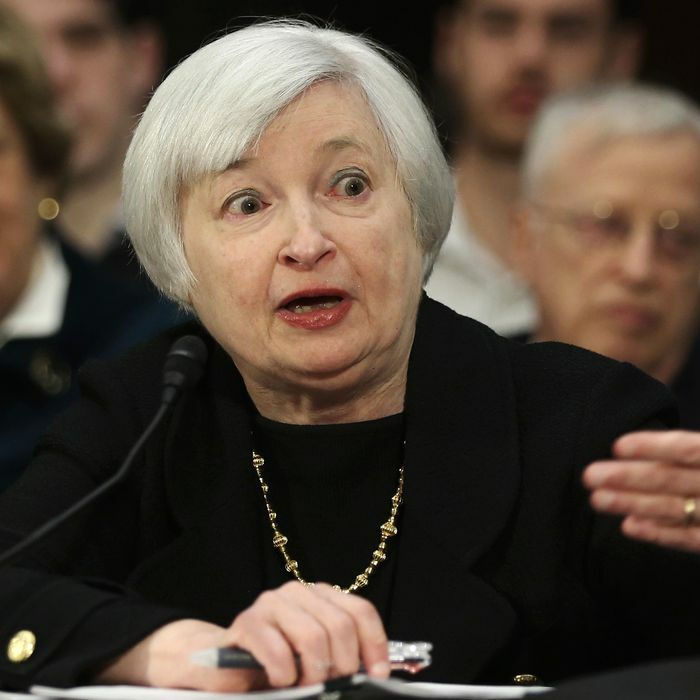 Warren Rojas, a gossip columnist for the Hill, and Patrick Tutwiler, a writer for Fishbowl D.C., find it hilarious that Janet Yellen, President Obama’s nominee to lead the Federal Reserve, appeared at her nomination hearing earlier today in an outfit she already wore in public five weeks ago. “At least we know her mind won’t be preoccupied with haute couture,” chuckles Rojas, pleased with his ability to take Yellen down a peg for daring to exhibit entirely ordinary, unremarkable behavior. “It would appear that Janet Yellen is way too busy being smart and stuff to do much shopping,” Tutwiler agrees. Both Rojas and Tutwiler are billionaires who burn each article of clothing after wearing it one time.